Sam Young struggled last weekend, and it sounds like his performance has cost him his job. Barry Jackson of the Miami Herald reports (via Twitter) that the Dolphins have released the offensive tackle. The team has promoted defensive tackle Jamiyus Pittman from the practice squad to take the open roster spot (via Jackson). 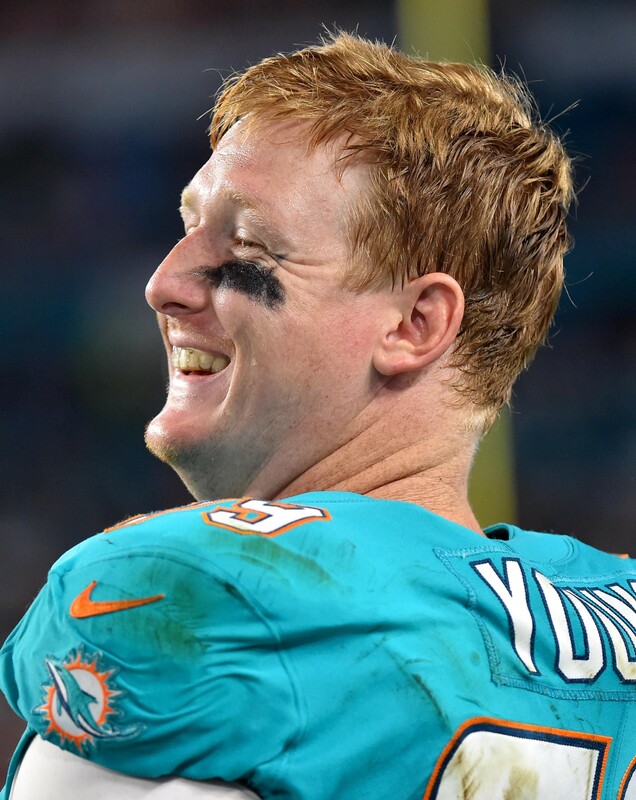 Following stints with the Cowboys, Bills, and Jaguars, Young joined the Dolphins back in 2016. The 31-year-old started seven of his 23 games over the span, including a 2017 campaign where he started a career-high six games. His role had been reduced this season, but he was inserted into last weekend’s game after Laremy Tunsil suffered a concussion. The Dolphins were beating the Bengals 17-0 when Young entered the game, but they ended up surrendering 27 unanswered points to lose the game. 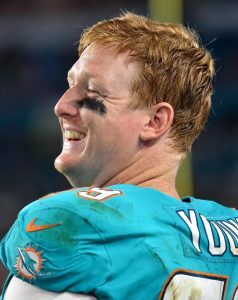 After Young was inserted into the lineup, quarterback Ryan Tannehill had a pair of turnovers that turned into touchdowns. Tunsil has passed the league’s concussion protocol and is expected to play against the Bears tomorrow. Today’s move means Zach Sterup is now the lone backup offensive tackle behind Tunsil and Ja’Wuan James. The team also has lineman Wesley Johnson sitting on the bench, although the veteran has primarily played center and guard throughout his career. Pittman joined the Dolphins after going undrafted out of UCF. The 6-foot-2 defensive lineman had a standout senior campaign, compiling 47 tackles and 4.5 sacks. Pittman will slide behind defensive tackles Davon Godchaux, Akeem Spence, and Vincent Taylor on the depth chart.